Social media seems to be sitting in the same space cigarettes were occupying about 65 years ago. While Facebook obviously won't give you cancer, the mental health risks of frequent social media use, and the addictive nature of that use are becoming increasingly more apparent. Some have even claimed that social media is directly responsible for a rise in certain mental health disorders. That's a difficult claim to qualify, but there are plenty of studies which show a direct link between the two, with more than enough evidence to, at the very least, advise caution. A new study conducted by the Royal Society for Public Health and the Youth Health Movement has revealed that Instagram and Snapchat may have the worst impact on mental health in young users. Instagram and Snapchat are the two most popular platforms for younger audiences, so on some level the deck is stacked against them. 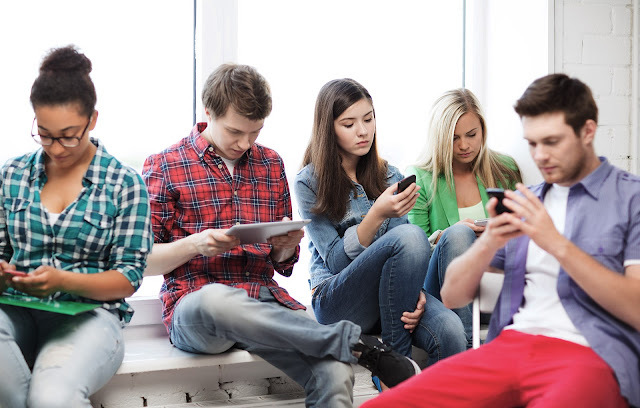 If more young people are using those platforms, a larger spread of negative effects are going to appear, in the same way that labradors are statistically the most likely breed of dog to bite you - there are more of them around. However, the nature of the study does show some interesting contrasts. 1,500 14-24 year-olds from across the UK were asked to rank social media platforms based on various issues relating to health and wellbeing. The most positively regarded platform was YouTube, followed by Facebook, Twitter, Snapchat, and Instagram in dead last. The categories by which the platforms were rated included anxiety, loneliness and depression. It would be fair to assume that Twitter would rank as one of the worst, given their reputation for trolling, but it ended up being ranked as the second most positive. As it turns out, image focused social media is actually causing the most problems. While Twitter is a hotbed of verbal abuse, Instagram and Snapchat are both rife with body shaming issues, something which is often far more damaging to young users. Instagram and Snapchat have both made internal steps to reach out to users with mental health issues, but those are more geared towards people who might have already had issues, rather than those who are just now developing them. According to the RSPH and YHF, what they really need to do is discourage people from overusing their services. The biggest issue seems to surround the fact that social media is a sprawling mass of unconstrained information. Older people might be able to differentiate between what's honest and what isn't but young people aren't so well equipped. Issues about self-image, self-identity and even fear of missing out can become dangerously exaggerated when all you see every day are pictures of people seemingly enjoying excited, fulfilling lives.